Hi, I’m Joy Kiddie and I have operated my private practice in Coquitlam for more than a decade. I am registered with the College of Dietitians of British Columbia and the College of Dietitians of Alberta and provide in-person Registered Dietitian services as well as via Distance Consultation across Canada, with the exception of PEI. I am not licensed as a Dietitian outside of Canada, but provide corresponding nutrition education services to those in the US and beyond. Eating “low carb” can be a lifestyle choice no different than someone choosing to become vegetarian, or it may be prescribed by one’s doctor to help treat pre-Diabetes, Type 2 Diabetes or number of other related metabolic conditions. A ketogenic (“keto”) diet is a very low carbohydrate diet that is used to improve the symptoms of specific clinical conditions such as epilepsy and seizure disorder, Type 2 Diabetes, as well as an adjunct treatment for certain types of cancers. It is also used under supervision for weight-loss. There is no one-size-fits-all low carb or ketogenic diet, but rather several different approaches to both of these; including a higher ratio of protein to fat, higher ratio of fat to protein, as well as a hybrid approach. Which approach is most suitable for you and which types of fats are best for you to eat will depend on your health status, any metabolic conditions you may have and medications that you may be taking, as well as your personal preference. I am a member of Canadian Clinicians for Therapeutic Nutrition, a group of Canadian of physicians and healthcare professionals that utilizes evidence-based dietary interventions to improve and when possible to reverse the symptoms of chronic, yet preventable nutritionally-related diseases. 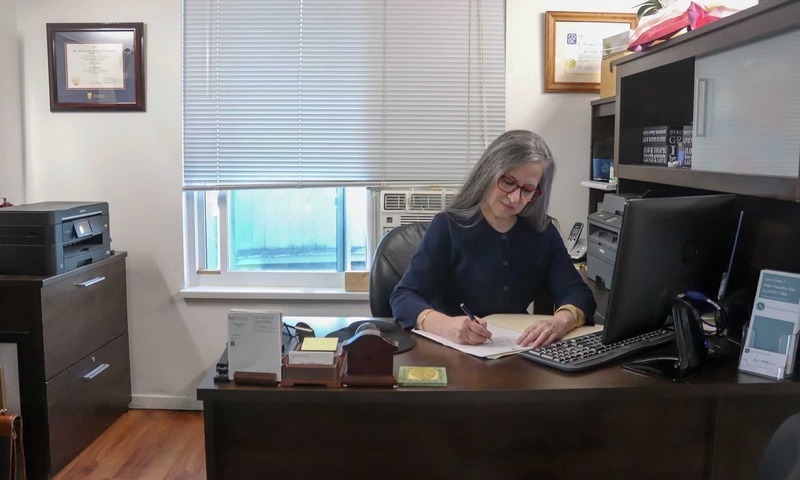 In addition to having professional training and experience as a Registered Dietitian, I also understand first-hand what it’s like to lose significant amounts of weight and to lower abnormal lab markers. In March 2017, I was obese, had uncontrolled Type 2 Diabetes, very high blood pressure, high insulin levels and abnormal cholesterol. Even though I knew what to do, I had to do it just like anyone else and my passion is to help others to do the same. You can read my personal health and wellness story by clicking on the A Dietitian’s Journey tab. Keep in mind, individual results following a low carbohydrate diet will differ. I am located in central Coquitlam — just 7 minutes drive from Coquitlam Centre, close to Port Coquitlam, Port Moody, Burnaby, New Westminster, Pitt Meadows and Surrey. My office is minutes by bus from the Coquitlam bus loop, with several buses routes to choose from, and just up the hill from the Evergreen Skytrain line. My office is bright and open, yet offers privacy at the same time. It is gently air-conditioned in summer and comfortably heated in winter. Since I also provide services to those with allergies and sensitivities my office is necessarily scent-free and is a peanut-free zone. In-person clinical hours are weekdays 9:00 AM to 5:00* PM (*3:00 PM on Fridays). Distance Consultations via Skype or telephone can be booked earlier on most days and a little later on a few. Below is a brief description of my services. For more detailed information about each of these, please click on the Services tab or the Shop tab, above. HOURLY SESSION: This option is available for those who would like to have services on an hourly basis or require it for extended benefit reimbursement. SMART GOAL SESSION: For those that want to set realistic, long term health and nutrition goals, I also offer a 1-hour session especially for that purpose. The Complete Assessment Package is an all-inclusive package for clients who want to lose weight and/or improve their blood sugar control, blood pressure, triglycerides and cholesterol. NOTE: If you are taking insulin for Type 1 or Type 2 Diabetes, please consult with a healthcare professional with CDE certification. For those from outside of Canada, the Meal Plan Package covers the same information, but from a nutrition education perspective. The goal of Anti-Inflammatory Protocol Package is to reduce pain and lower markers of inflammation and is ideal for those with arthritis or one of several auto-immune conditions. 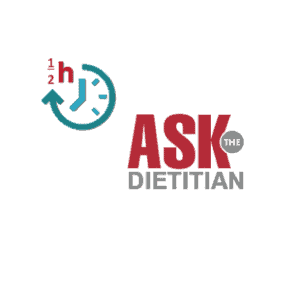 For Distance Consultation clients in Canada, I offer a 1/2 hour and 1-hour Ask the Dietitian session. This is for asking questions about a low carbohydrate or ketogenic diet. For those seeking very particular types of services, I also offer a Customized Nutrition Package that I will design in consultation with you. The Dietary Management Package is a follow-up package for those who’ve already completed the Complete Assessment Package (or the equivalent on an hourly basis) and would like additional support or coaching as they implement their Individual Meal Plan. For those from outside of Canada, the Weight Loss Follow-up Package covers the same information, but from a nutrition education perspective. You can learn more about each of these packages under Services or by visiting the Shop. Be sure to look into our Flexible Payment Options that may help you get started. Please click on the “Contact Me” tab to send me a note.